It doesn’t take a born genius to land an “A” in school. Just about everyone can make the grade — that is, if you’ve got the determination, motivation and, well, a couple of our trade secrets. Sometimes it’s not what you study but how you study that’ll give you an extra edge. That’s because different people have different learning styles. Take the quiz to find out about yours and get special tips and tricks for studying smarter. Give Your Grades a Boost! 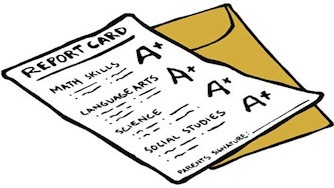 Take this quiz and see how these tips can help you raise your grades. Tactile Learner: You like to take a hands-on approach with everything you do. Trial and error, experimentation and curiosity are the name of the game, which makes you a tactile learner. While not always possible during class, test things out at home. Make rock candy to study crystals for chem class, or dress up like Abe Lincoln and explain your position on the Civil War for history. Silly? Yeah, pretty much. Memorable? Definitely. Besides, who’ll be laughing when you get a great grade? Auditory Learner: Listen up! Information seems to stick in your brain best when you hear it, so it sounds like you’re an auditory learner. A technique to try in class is to listen more and write less, or if your teacher will allow it, record the lessons. Then, when you sit down to study, you can either read your notes out loud or listen to the tapes to make sure you’ve got things down pat. Visual Learner: “Seeing is believing!” is your study motto. (Didn’t know you even had one, huh?) Seems like it’s easiest for you to learn things when you can see them for yourself — and that means you’re a visual learner. Translation: flash cards, charts and graphs are your study buddies. If you blank out during a test, shut your eyes and try to visualize the information. You’ve seen it all before.